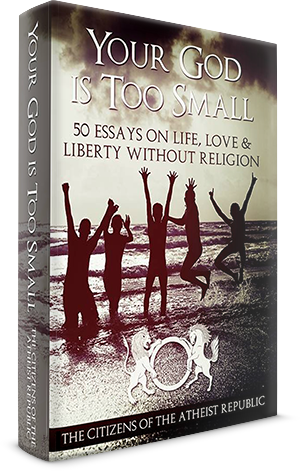 I’ve discussed the existence of God on numerous occasions with a number of people whose backgrounds widely vary. While the conversations are intriguing and I enjoy the diversity of perspectives, what I find the most interesting is how they’ve come to believe in God and why they understand their belief to be a sensible one; in what ways did they evaluate the evidence? This is where I try to take my conversations almost immediately. I want to understand how they process information once faith is involved. For instance, if they believe in a god, did they come to this conclusion before or after affirming its existence? Questioning their particular claims may spark a more intriguing conversation and can actually lead to a positive outcome. Thinking rationally is imperative, especially since we live in a world dominated by faith and superstitions. We have to remember to face these conversations in a thoughtful, mature way. Very often I witness a type of discourse that hinders rather than inspires, wrought with callous name calling and petty disregard. None of this helps anything; something both sides of the debate should take time to remember. If a rational conversation is something worth having, take the time to make it so. 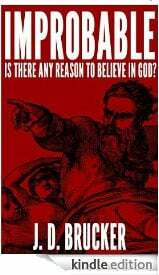 Should we disregard any evidence put forth by theists? Of course not. We can reasonably say that evidence exists on both sides of the argument, but we have to ask ourselves which direction the body of facts point in. Do they support the god claim? That certainly depends on the specifics of the claim. In experience, there are a few common facts that are often attributed to the existence of a god. In the past, gods and goddesses were given the credit we now rightfully attribute to the explained; for instance, rain, thunder, the sun, the moon, and drought. Now we’ll find God nestled where only ignorance dwells. So, where then should we draw the line between reason and folly? Let’s take a look at a few examples. The Beginning of the Universe – Theists often suggest that since the universe has a beginning, the cause is best rationally explained by the existence of a personal, metaphysical agent. With the naturalistic cause still presently undetermined by science, a theistic cause seems to be the only sensible answer. We mustn’t rely on logical arguments, such as the Kalam cosmological argument, to offer a reasonable answer, for one particular reason: Science offers the best explanations. Science may someday offer an answer that better explains the existence of the universe. But the lack of knowledge involving the beginning of the universe shouldn’t give us the right to offer any conceived idea and expect the outcome to be correct. The Existence of Consciousness – The presence of our consciousness has fascinated many throughout time. Stories, myths, and legends helped soften the burden this question held. Today, it’s much different. The brain is an amazing organ; neuroscience best explains its functions. Neuroscientists understand that our senses depend on a functioning brain. It was once believed that something external in origin but that dwelled inside of us operated our personalities; science has thoroughly debunked the claim of a soul. To simply put it, the god claim falls apart rather quickly. Still, a good number of those from faith genuinely believe the arguments are convincing enough. However, we need to reflect and acknowledge what tools best explain the world. Science can help alleviate this burden. There simply isn’t any need to include a metaphysical component to the physical world. 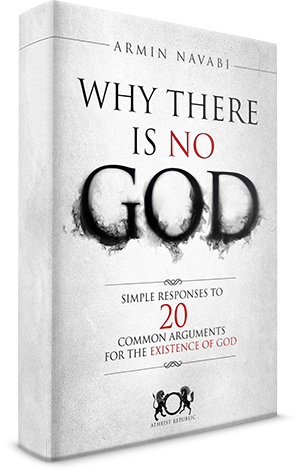 God may or may not exist, but his existence hasn’t proved useful in the fields of study that are most important to mankind. To use God as an explanation for science’s unanswered questions comes not from reason, but from ignorance.